Trex makes it incredibly easy to pair the elegance and durability of Trex Transcend decking with their full line of matching Trex Railing. The modular construction of this railing system offers unique design flexibility and an endless mix of choices. No matter what your style is, railing from Trex will complement your deck while creating a seamless look for your outdoor space. 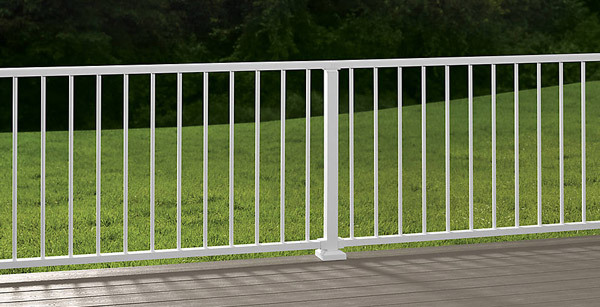 Featuring the same durability and ease of maintenance you expect from Trex decking, a Trex Transcend Railing or the Trex Reveal Aluminum Railing can be configured in a variety of patterns to match the individual style of any home. 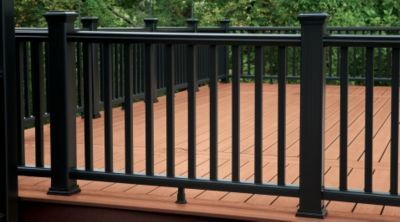 Trex Reveal™ Railing is a sturdy aluminum material that attaches easily to hardscape settings such as stone patios and concrete porches, but also is fully compatible with all Trex decking lines. Superior strength and a minimal profile make this railing an elegant choice to maximize views with little maintenance and offers a powder coating that washes clean with soap and water. 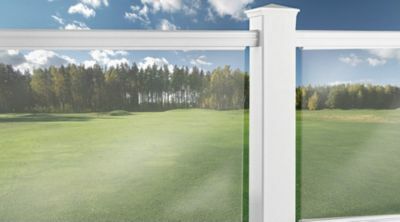 Reveal Railing also features 2 choices of baluster (round and square) and 2 post options (aluminum posts and composite post sleeves) and is backed by the Trex Reveal Railing Limited Warranty. This homeowner shares how much she continues to enjoy outdoor living on her deck more than four years after replacing her higher maintenance wooden deck with the Trex Transcend decking and railing products. Have A Question About Trex Transcend or Trex Reveal Railing? Our resident decking expert, Ryan Cappellari, and his capable team of deck building experts are available to answer any question you might have. Their combined years of experience working with composite decking and railing products can provide you with the answers you need to get that home deck project completed in no time. 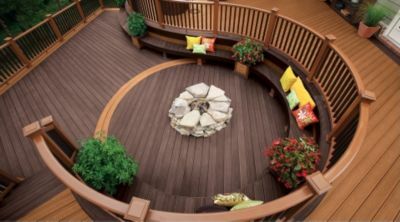 Give Ryan a call at 540-721-2276 or email him to discuss your decking or railing project. Capps is proud to offer Trex Transcend decking and Trex railing products to all areas of the Southwest Virginia area, including Roanoke, Lynchburg, Franklin County, Bedford County, Pittsylvania County, Salem and beyond.